But God wouldn’t let him go. Even when Jesse decided to live his life working as hard as he could to be moral and just a good guy, he knew that God was reaching out to him. His crisis moment came after he got married. Jesse felt the weight of caring for another human being’s needs in addition to his one purely from his own effort. 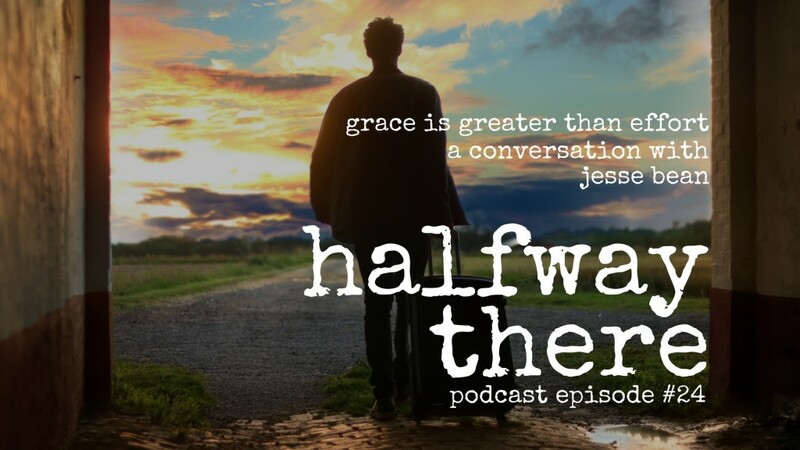 After realizing that he could not continue on his own without expecting the same kinds of moral disasters that plagued his childhood role models Jesse sought help first from a counselor then eventually from God. Jesse takes us to the watershed moment when God wrapped his arms around him and he finally came back. Today, Jesse serves as the accountant at South Fellowship Church and is studying to become a counselor himself. In hindsight, I’m certainly thankful for the periods of struggle with my faith that occurred as I got out of high school. I felt like after my dad fell, if I could live my life the way Ted Haggard lived his life, I would be okay. And then it became clear that won’t work either. I feel like at that time there was, for lack of a better term, there was a tug on my heart that I felt like the Lord wasn’t willing to let me go. I knew there was no way my effort was going to get me all the way through life. 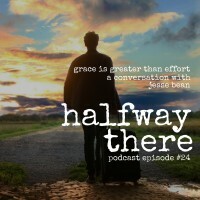 It was during that time when I began to be open to what it really looked like to be in relationship with the Lord again, to see Scripture in a different way where it really wasn’t about what I needed to do to live the good Christian life but what was available for me through the gift of grace that I was able to receive…I did not have to rely on my effort anymore. I did not have to be afraid of who I would become if left to my own strength. I knew grace very well and I had never experienced it. If you are new to the show or just haven’t subscribed yet, make sure you never miss an episode by subscribing in iTunes today. Thank you for sharing……you are a testimony to your family and a testimony that reaches clear into spokane, WA.